Online, it can seem like the geographic borders of information and e-commerce are becoming more and more blurred. But as a digital publisher, if you’re serving ads to audiences in the US, Canada, or the European Economic Area (EEA), it’s good to be aware of regional privacy and data collection, processing, and disclosure laws, and how each change with different countries. According to our data, publishers are seeing an average split of 40% US, 15% EEA, and 8% Canada traffic. So we’ve rounded up some information privacy laws and personal information-handling practices that you should keep in mind, whether you’re based in those countries, see visitors from them, or want to to grow your traffic from these regions. On a serious note, complying with privacy laws and understanding the impending updates could help protect you from everything from fines and class action lawsuits to protecting your consumer confidence from a damaged brand reputation. GDPR came into effect May 25, 2018 and applies across the EEA. GDPR is considered the data processing standard. It takes a proactive, consent-first approach to the collection of data and analytics. Why should it matter to publishers? GDPR ensures that companies can’t collect data without a lawful basis and a reason for processing. GDPR has the broadest definition of the personal data that it protects of any major privacy law. So, if you collect any information from EEA-based users, GDPR should be on your mind. Sites offering goods or services to EEA buyers, or tracking their online activities, are now required to obtain consent from users on the data they collect and with whom they share it with. Consent Management Platforms, or CMPs, are used by many publishers to manage consent. (View trends in publisher decisions when it came time to implement GDPR). If you’re found to be in breach of GDPR, you could see big fines, between 2 to 4% of your annual global revenue, in addition to €10 million to 20 million, depending on the severity of the offense. You can be found to be non-compliant with GDPR if you use data in a way that you do not have consent for, or in the event of data breaches—losing consumer information in a cyber attack. Scheduled to come into effect in January 2020, California’s new privacy law AB 375 was signed in by unanimous votes in the summer of 2018. As the world’s fifth largest economy at $2.7 trillion GDP, it’s likely that businesses targeting US visitors will encounter California residents. Consequently, California could become the de facto approach for the US. While California’s privacy law has passed, the Internet Association (a lobbying group that represents companies like Facebook, Google, Uber, Amazon, and Microsoft), the US Chamber of Commerce (the country’s largest lobbying organization), and the Interactive Advertising Bureau (IAB) are encouraging US federal lawmakers to enact a federal privacy law. They want to avoid the confusion and complications of having to navigate a separate privacy law for every state in the US. The California Act gives consumers the right to decide which personal data is collected and for what purpose. It also allows them to opt out of having their data sold. Personal information as defined by the California Act are standard identifiers in the physical world (like driver’s license or social security numbers), digital identifiers (like email addresses or demographic data), online behaviors (like IP, search, browsing history, purchases, and interactions), and any inferred data. The California Act isn’t quite as rigorous as GDPR. The California Act doesn’t require consent or permissions in the first place, instead focusing on a consumer’s control of who sees their data. Where it significantly differs from GDPR is the lack of a stop mechanism—companies can still collect information—and no initial consent is required. Publishers who use ad tech that track visitors around the web with cookies and mobile advertising IDs should be aware that the California Act requires that publishers have an option to give people a way to ask for deletion of the information collected. If that personal information is sold or shared, the company must disclose the purpose. Canada’s PIPEDA came into effect in June 2015, with updates scheduled for January 2019. PIPEDA protects personal information entrusted to commercial organizations. Personal information includes a person’s age, name, ID numbers, income, ethnicity, blood type, comments, opinions, and employee records. Targeting Canadians? Publishers will need to obtain their consent when they collect, use, or disclose the Canadian individual’s personal information in the course of any commercial activity. The federal-level PIPEDA gives the user the right to access any personal information gathered, and be informed if that information is used for any other purpose than the original communicated intent. Like GDPR and the California Act, PIPEDA charges the publisher with protecting the personal information gathered, regardless of whether that is handled directly or by third parties. Interestingly, PIPEDA doesn’t cover any business contact information that an organization collects, uses, or discloses for the purpose of communicating. Note that PIPEDA is one of several laws in Canada that relate to privacy rights. There are 10 principles for publishers to follow, which outline: accountability: identifying purposes; consent; limiting collection; limiting use, disclosure, and retention; accuracy; safeguards; openness; individual access; and challenging compliance. Any publisher that breaches PIPEDA could face fines of up to $100,000 CAD. There you have it, three major privacy acts you need to know about as a publisher in high economic demand areas. Privacy laws are complex and this article is meant as an overview, not a replacement for legal advice. The reality is that with increasing legislative and consumer focus on data breaches and digital privacy and protection, scrutiny and guidance is likely to increase. As such, we plan to keep a close eye on these important issues and think you should too. Trish Manrique is a Content Marketing Partner at Sortable, a Canadian customer-focused, data-driven ad tech company. Footnote: What is the European Union (EU) and the European Economic Area (EEA)? The European Economic Area includes EU member countries and includes countries from the Scandinavian region. We’ve listed it in a handy table below. **though neither an EU nor EEA member, Swiss citizens may reside and work in the UK, like other EEA nations. Post-GDPR, are data clean rooms the answer to accessing walled gardens? As of May 25, 2018, Google announced that DoubleClick users will be unable to rely on cookies or mobile device IDs to connect impressions, clicks and site activities from DoubleClick logs. Instead, they will be limited to Google’s own Ads Data Hub for those metrics. For some, this means that they are satisfied to stay within the Google stack. But not every brand’s solution will be and should be limited to Google. If media buyers want to analyze their spend outside of Google’s platform and offer up any attribution, then just using Google won’t work. “Some marketers who spend 75 percent or more of their budgets on Google will be fine just letting Google do the analytics,” says Alice Sylvester of Sequent Partners. Google wasn’t the only one to lock down its platform. In response to the combined pressure of GDPR and the Cambridge Analytica scandals (related to handling of personal information), Facebook decided that it would shut down ad tools called “Partner Categories” powered by outside data brokers. Those tools let Facebook advertisers target ads at people based on third-party data such as their offline purchasing history. This means advertisers will have access only to their own data, and data Facebook collects itself. If an advertiser wants to pull campaign-level insights to inform future campaigns, or use the data for the basis of an attribution model, then they are out of luck. Data clean rooms allow large inventory partners like Facebook and Google to share customer information with brands, while still maintaining strict controls. Data clean rooms were named for the completely airtight rooms where microchips and other sensitive materials get made. In this case, the rooms enable a shared environment between two or more companies that are completely secure from external access (no wifi), and where each company decides the level of visibility to their data. This eliminates – or severely restricts – the possibility of data leakage (which is what happened with Facebook and Cambridge Analytica). The driving force behind the concept is to create a safe space where data can be shared and manipulated without leaving the inventory partner’s environment. Specifically for Facebook, a brand can create an audience based on first-party data – like a list of email addresses – and then push that list into Facebook, match it, and grab a copy which they can later combine with their data as the basis for attribution, measurement, and modeling. How it happens in reality is that an advertiser will load a clean or wiped laptop or device that has never been connected to the Internet with that advertiser’s first party data, which in most cases is an email list. 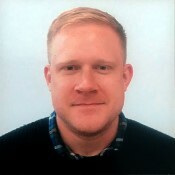 A second clean computer is loaded by Facebook or Google with impression-level and non-personally identifiable information (“PII”) campaign data. Maybe, The Answer to Scaling The Walled Gardens? For advertisers with reams of data and substantial programmatic advertising budgets, this is a great opportunity to scale the otherwise elusive walled gardens. Data clean rooms create a safe environment for data providers to share marketing information that brands need and crave to model future media buys and advertising strategies. If managed properly, with appropriate methods and standards, this technique would allow brands to really understand their walled-garden ad spends within the larger marketing ecosystem. For both advertisers and publishers alike, the stakes are high in the post-GDPR world of data governance, and there is no room for unintended data sharing because consequences are severe. Marketers have been eager to get more insights out of Facebook and other walled gardens, but it remains to be seen how aggressively brands and agencies will use data clean rooms to make the most of the spending with the largest inventory providers (e.g., Google, Facebook). Glass half-empty: These same inventory providers lack a compelling incentive to play well with others in clean rooms, beyond delivering another level of customer service in a marketplace they continue to dominate. Glass half-full: It’s been a daunting year or more for the industry category, with virtually continuous coverage related to privacy violations, bad actors influencing politics, and fraud and transparency challenges. The ‘clean room’ concept may be a half-step that the duopoly can get behind, if only as a signal of good faith to the industry. There is also the overriding issue of what kind of manpower (likely significant) would be involved to make the clean room option a viable reality. The usefulness of data in this kind of an environment may also be somewhat limited No matter, though: The data clean room concept is one that’s getting some attention. And, considering its appeal among the dearth of options out there that seem appealing to all the affected players – brands, agencies and inventory providers – it could be one that ends up getting traction. Karen Moked is the Vice President of Marketing at Digilant, a programmatic media company in Boston. A veteran of the advertising and technology industries, she previously worked for Akamai and O’Reilly Media. Karen is a graduate of MBA-ESG in Paris and York University in Toronto. Connect with her on LinkedIn and Twitter. Ensuring the high-quality of inventory across the PubMatic platform, as it flows from sellers to buyers, requires strong policy, which standardizes compliance enforcement and operational coordination across account teams so that we spot issues early and often. It also requires a strategic focus on identifying what lies ahead for quality. I’d like to share my thoughts on a few growing trends I expect to see regarding inventory quality. These views come from an amalgamation of inputs: my 10 years of experience in managing inventory quality, the signals and other clues arising from my daily quality operational work, and deep-dive investigations. Buyers have shifted their emphasis to quality and are focused on working with other quality-centric professionals across the industry. The industry has clearly spoken – third-party fraud detection is now considered “table stakes” for any large player, buyer or seller, in the digital advertising ecosystem. Though fraud detection vendors play an important role in helping to identify and avoid invalid traffic (IVT), I would advise treating this service as one tool among others to help improve quality. No vendor measures quality the same way, yet many of them share the same MRC certification for Sophisticated IVT (SIVT). PubMatic uses a combination of IAS and White Ops to monitor invalid traffic rates and identify problematic pockets of inventory. However, many buyers use different fraud detection vendors and they may report very different results for the same inventory. These variances can be explained by unique proprietary methodology and differences in sampling where one vendor may look at a completely different subset of the same inventory vs. another vendor. For example, if “Buyer A” is reporting their inventory is 100% IVT, while PubMatic’s White Ops reporting is showing 1%, the promise of fraud detection technology as a standalone method to identify non-human traffic breaks down. Yet, when stepping back and viewing fraud detection as a starting point, conflicts between buyers and sellers are more likely to come to an agreement. I believe this because both parties can recognize that even with big differences in fraud reporting, a deep-dive investigation will uncover other signals that likely support one report or the other. In this specific example, I may find other evidence supporting the buyer’s claim and could come to a mutually agreeable conclusion (e.g. refund, blacklisting, termination of supplier, etc.). However, as often as not, my investigation might raise no other red flags to indicate poor inventory, and thus I would propose limiting access to that inventory for this buyer. GDPR has impacted the ability of marketers to fully utilize the targeting potential of cookies and audience profiles in EMEA due to the regulatory changes in consent and privacy. One could argue GDPR is a direct consequence of the rise of ad tech and the lack of self-regulation concerning how the data of consumers are used in the targeting of advertising. Therefore, it is not unlikely that similar consumer data privacy and consent laws will spread around the globe. This will further reduce the efficacy of cookies and precipitating the return of contextual targeting for online advertising. What does this mean? An increased focus on the quality of content—addressing fake news and brand safety concerns—as well as the quality of the audiences who consume this content as important quality trends in the marketplace. Recognizing the importance of content and audience to buyers, PubMatic evaluates domains and apps not only on the level of IVT but also on the value of the audience and originality of the content. For instance, an organic, loyal audience is preferred to consumers acquired from other sources. We also avoid content farms and look-a-like sites that exist only as a necessary backdrop to sell ad impressions. Since ads.txt was introduced in 2017, adoption has been accelerating. Pixalate reports that as of March 2018, more than 50% of the top 5,000 programmatic sites have adopted ads.txt. While ads.txt is a valuable tool to combat domain spoofing, it provides no inherent protection against IVT (bots and fraud). Further, it does not guarantee the quality of a domain’s content and audience. For example, a domain created solely for the purpose of driving bot and/or acquired traffic through pages filled with content stripped from other sources can have an ads.txt file, but still be a bad source of inventory. Thus, working with a whitelist of trusted domains is the single best practice for both buyers and resellers of inventory. Being familiar with the domains on which ads are running, and avoiding all other domains, is the best prevention. I strongly suspect that most of the behavior leading to poor quality inventory comes from the point where money changes hands—the domains and apps where advertising is consumed. By wisely choosing which domains to work with and working with only whitelisted domains, many quality issues will be avoided entirely. Alternatively, when a small group of domains isn’t enough to meet inventory requirements, working with trusted partners can also provide improved inventory quality and improved brand safety. 2. How much does the user experience matter? Too often we see publishers making trade-offs with the quality of their user experience in favor of displaying more ads or using ad formats that aren’t in-line with IAB or Coalition for Better Ads standards. It can be tempting to forgo best practices when revenue is the only metric that matters (which it shouldn’t be). Your users—and their willingness to visit and spend time on your site on a consistent basis—are even more valuable. That’s why it’s important to ensure you have a responsive site with load times of three seconds or less (Google shows quicker-loading mobile pages higher up in its search results) and a design that is uncluttered and easy to scroll and click-through. Don’t let first-order thinking trump what’s best for your users. Determining the short- and long-term costs of taking no action at all and sticking with the status quo. For most publishers, this exercise would likely involve fears related to ad quality or fraud issues. If that’s the case, consider using anti-malware software (like Confiant), which can help prevent malvertising. It’s not foolproof, so to repair the damage, publishers should have a plan for investigating and taking down these ads. For example, have a segment of super users you can rely on to report issues and test fixes. And work with reputable partners who have rigorous approval standards in place and will be responsive to your support requests. 4. Are you taking a collaborative or siloed approach? If you’re a larger publisher, you may have the budget to invest in creating fully-staffed teams to focus on sales, ad ops, and editorial. If so, don’t make the mistake of running those teams in silos with little to no opportunity for cross-functional collaboration. When it comes to programmatic advertising, everything is connected, and shared goals are critical for successful outcomes. Decisions involving how your inventory is sold and trafficked and the page(s) it’s displayed on require ongoing and frequent communication between the sales, ad ops and editorial teams to ensure the best possible results. For successful collaboration to take place, it’s important to define the dependencies between teams and how each individual team contributes to the bigger picture of increasing user engagement through producing original content that also displays relevant advertising. 5. How important is testing and optimization? I don’t know of a single marketing channel where the marketer doesn’t gain performance improvements by adopting a learning cycle of testing, adjusting, and optimizing. Often, the whole point of investing in a new channel is to gather data you didn’t have before. Then you can use the data to test a variety of hypotheses that result in varying degrees of ROI. This means it’s important to consider if you have the tools, resources and tolerance for continually tweaking what’s working (and what isn’t) to produce the best possible results and get the highest return possible on your investment. It’s an art and a science and it takes time to perfect, but it’s worth it. 6. What type of company do you want to work with? The ad tech space is full of companies providing a wide variety of products and services for publishers. Not all of them will suit your needs or align with your business practices, so it’s important to do your research. Pay particular attention to claims that seem too good to be true (for example, promises of 100% fill rates). Ask questions about a company’s support model (for example, what are the average response times, how are requests prioritized, and what is the coverage model on weekends and holidays). 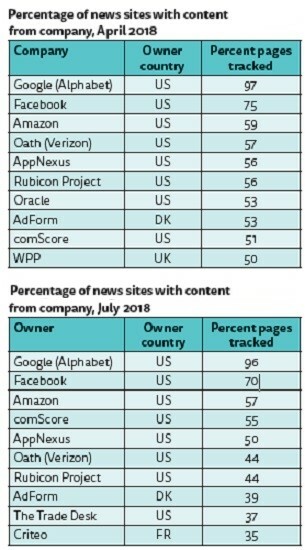 It’s also important to understand how each company is (or isn’t) compliant with the various US and international data collection and privacy laws governing digital advertising (i.e., GDPR, COPPA, PIPEDA, CAN-SPAM, etc.) and whether they’ve implemented the bare minimum for compliance or adhere to both “the spirit and the letter” of the law. For example, Sovrn is the only exchange offering a free Consent Management Platform (CMP) to help publishers with GDPR compliance, instead of putting the burden on the publisher to figure out how to be compliant on their own. According to eMarketer’s “US Programmatic Ad Spending Forecast 2018,” almost $47 billion will go to programmatic advertising this year. And, by 2020 programmatic will account for 86.2% of digital display spend. Now is a great time to explore if programmatic is worth investing in for your business. Start by focusing on what makes your content and audience unique, your tolerance for risk, your desired outcomes and what you want to learn. Long before GDPR took effect in May, both publishers and advertisers tried to install safeguards to prepare for its impact on industry practices. We’ve seen some of the effects already. Email marketing distribution lists have shrunk. Companies are re-evaluating and optimizing the data they collect to increase data privacy and consumer trust. Some publishers are even blocking access to EU-based residents altogether. But how has GDPR affected the ways advertisers buy? It’s been reported that programmatic purchases have plummeted in the EU since GDPR has gone into effect. Companies now need to prove they have user permissions, which becomes tricky if you’re selling advertising on websites where you have no ownership or control. We’re aware of certain firms whose revenues are down from 33% to 50%, in just the past 30 days, presumably due to lagging compliance. Here at MediaRadar, however, we evaluated programmatic ad spend in the U.S. The impact isn’t nearly as drastic as some may have believed. Surprisingly, our own data found that the number of brands purchasing programmatically in the U.S. has increased since April. This shows that brands still value the convenience of programmatic purchases, even with the new regulations. It’s important to note that this increase in programmatic interest actually came prior to GDPR. From January to May of 2018, we saw 86,695 brands purchase programmatic ads, with the number of brands increasing month over month. From January to May of this year, digital advertising has surged. During this period, the number of brands that purchase programmatically increased, yet direct buying also grew, and at a much faster rate. Because of this, the total percent of programmatic purchases among all digital ad buys has actually decreased. In Q1 of 2018, 61% of ads were placed programmatically. Since then, that percentage has dipped to 59% in April, and to 58% in May, despite programmatic strength. In looking at the big picture, we found that the rate of programmatic ad buying has been largely flat in the U.S. year-to-date. Digital advertising as a whole is thriving, regardless of GDPR implementation. This proves that the increase in programmatic spend can be attributed to the overall popularity of digital, as opposed to programmatic itself. We believe this trend in the U.S. will continue. Programmatic will remain popular among advertisers, barring a wave unexpected GDPR violations as a result.